Welcome to the Pupil Services Department for the School District of Onalaska. 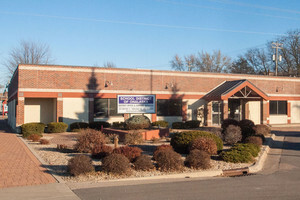 The Pupil Services Department is located at 237 2nd Ave S in Onalaska, Wisconsin. The Pupil Services Department provides a number of different services to students and families in the school district. Please click on the topics located on the side bar to find out more specific information about each of these areas in the School District of Onalaska. Yog koj xav tau kev pab ntawm cov ntaub ntawv cuv npe kawm ntawv losis muaj lus dab tsis noog, thov hus rau ob tug Txhais Lus Hmoob, Nis Nis Xyooj losis Kab Yeej Lis ntawm tus xov tooj 608-783-4542 ces hais kom xa mus rau 1009, peb mam teem sij hawm rau koj ntsib nrog nkawv ib tug. Uas Tsaug ntau. Si usted necesita ayuda con los formularios de inscripción o tiene preguntas, por favor ponerse en contacto con nuestro intérprete de Español Caroline Moss al 608-783-4542 para programar una cita con ella.